On July 1, 1867 Canada became a new federation with its own constitution by signing the Constitution Act - formerly known as the British North America Act. 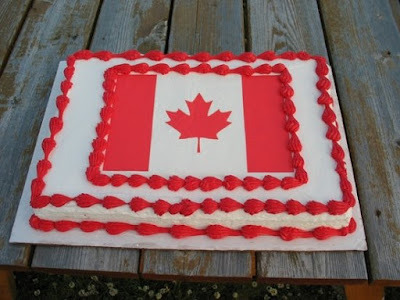 This is what is being celebrated as Canada Day, a national statutory holiday celebrated in all provinces and territories and it is a day off for most businesses. As a permanent resident of Canada, you and your family will be entitled to various social benefits such as free health care, free education, allowance for your kids, retirement pay, great income opportunity and more. This is something that should really be celebrated. If you want this for your family, you need to decide and make a commitment to your decision. In submitting your requirements, please contact us for appointment. Please submit your requirements all at the same time. Here's our updated contact information. Immigration rules change. With the current immigration policies, the first thing you need to do in order to get a permanent residence in Canada is to get ready. Please submit and complete and updated documents as soon as possible. The goal is be in a position to immidiately submit your application when a program suited for you opens. Get in touch with your Agent/Consultant. Here are some updates about Canada's immigration programs. Quebec Skilled Worker ProgramThe 5,000 CSQ Applications to be accepted for the June 2016 Intake schedule was reached few hours after the program opened. If you were not able to submit your application, there will be another intake schedule before the end of this year. Application for Quebec Immigration is now online via the Mon Projet Quebec. If you are a Registered Nurse, this is another option for you to get a permanent residence in Canada. Under Express Entry, candidates who meet the criteria will be accepted into a pool of possible candidates for immigration to Canada. Candidates will be ranked against others in the pool using a point-based system called the Comprehensive Ranking System. Citizenship and Immigration Canada (CIC) will regularly select the highest-ranking candidates from the pool by inviting them to apply to immigrate to Canada as permanent residents. For the year 2016, a total of 11,745 Invitation To Apply (ITA) was issued as of June 29, 2016. Here's the summary of Express Entry draw for the year 2016. Your Express Entry Profile is valid only for one year. It needs to be submitted again if it expired. You need to have a valid IELTS Exam result and Education Credential Assessment to maintain an active Express Entry Profile. If you are intersted to study in Canada, please get in touch with your Agent. Visit www.gatewaytocanada.comto get updated information. 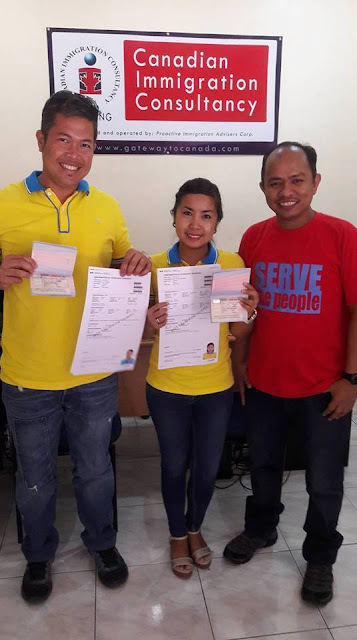 Mrs. Mary Grace Maglantay, an Engineer by profession, applied under the Federal Skilled Worker Program as a Construction Supervisor. Her application was filed early 2012. Her Visa was issued just recently, after more than four years of waiting. But not only did she wait for a long period, her application went through several challenges and was almost rejected by the Visa Office.